From Underground Toys! 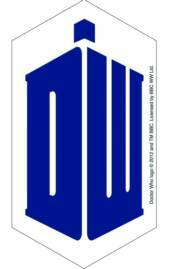 Travel through time and space with these Doctor Who stickers! Each vinyl die-cut sticker measures approximately 4'. Choose from Bow Ties are Cool, Bigger on the Inside, Don't Blink, Doctor Who Logo, Exterminate, and Fezzes Are Cool. Collect them all!